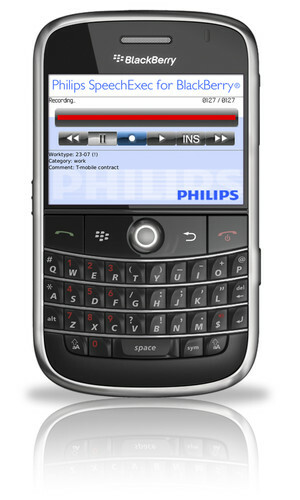 LFH 7400/0740 Philips Series App. 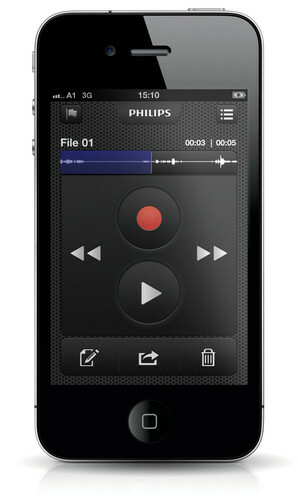 The Philips recorder app LFH 7400/0740 is designed to fit perfectly with the Philips SpeechExec software suite. Recording, editing, and sending dictation files from your Smartphone offers mobile flexibility and reduces document turnaround times. Send your dictation files from anywhere in the world with the LFH 7400/0740 App. To avoid people accidentally getting access to your audio files, the highly secure Philips Recorder LFH 7400/0740 for Smartphones optionally offers the capability to encrypt dictation files. In addition, the application can be locked via PIN code. 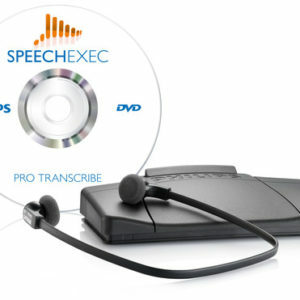 SpeechLive takes dictation workflow to the cloud, with all its great benefits. Dictations can be safely uploaded and downloaded from anywhere in the world. 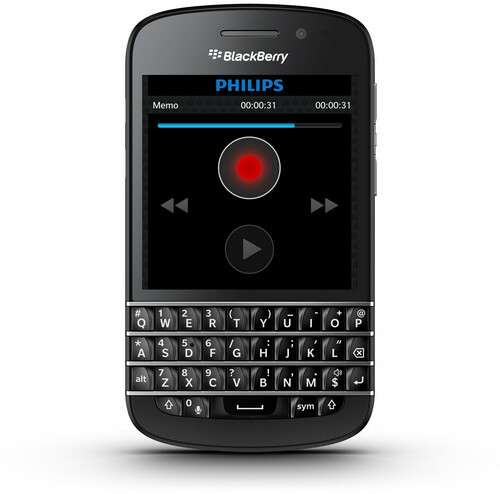 End-to-end double encryption protects recordings from unauthorized access. 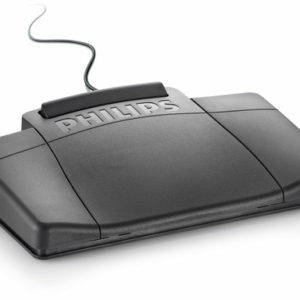 SpeechLive works seamlessly with all Philips input devices, connects with SpeechExec software and adapts to your company’s working structure. 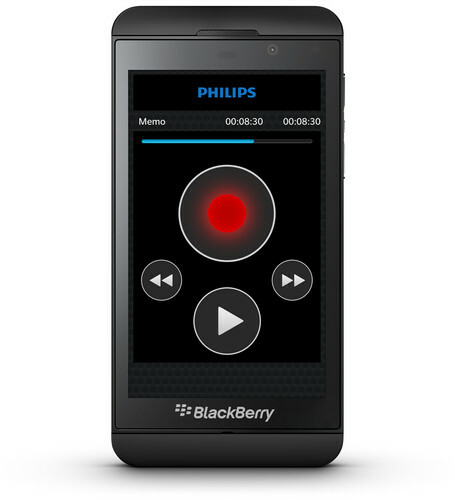 The LFH 7400/0740 Philips Recorder for Smartphones takes full advantage of the touch interface. It offers editing functions such as insert, overwrite, and append for professional recording control. 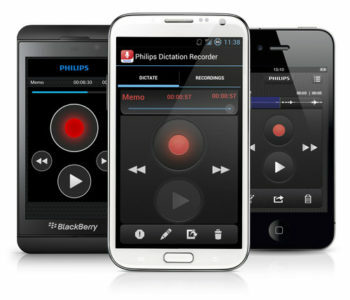 The LFH 7400/0740 Philips Philips Recorder for Smartphones turns your smartphone into a wireless digital dictation recorder. 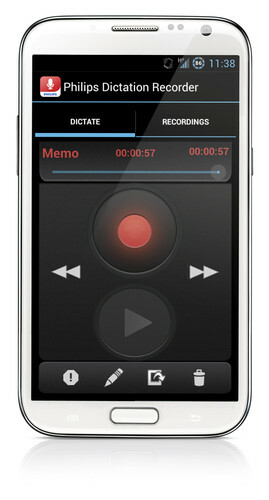 Record dictation files at home, in the office, on a plane, or anywhere you need to record and send voice files. The ability to send dictation files through wireless transfer decreases turnaround time and dramatically increases personal productivity. With the LFH 7400/0740 Philips Recorder for Smartphones you can send recordings to your SpeechExec solution via email, FTP, SpeechLive or directly to your company network. The audio files will automatically appear in your transcribe to-do list.